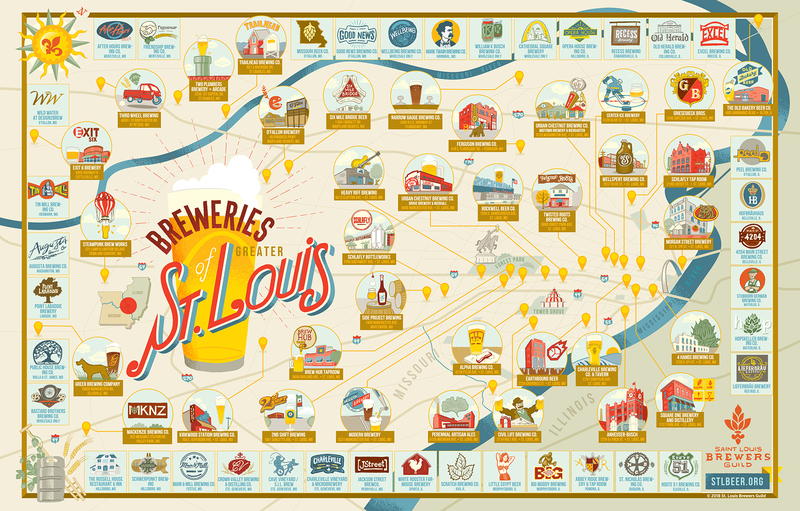 St. Louis is a Beer City. Always has been, always will be. Brewing is in our DNA. Home to over a hundred breweries in the years prior to Prohibition, the St. Louis area now boasts more breweries in operation than ever before in its long history; with several more in various stages of development. STLBEER is the public face of the St. Louis Brewers Heritage Foundation, a 501(c)3 non-profit organization whose civic and educational mission is to promote the Greater St. Louis Region as a premiere beer tourism destination. STLBEER hosts a variety of fundraising events throughout the year including two signature beer festivals. Our annual Heritage Festival takes place in July in Forest Park and features over 60 local breweries, great food, and entertainment. The STLBEER Halloween Party is a unique beer festival in historic Lafayette Park featuring a hayride with kegs and costume contests for both attendees and breweries! STLbeer.org is your online resource for the latest and greatest in local beer news, brews, and events, so you always have what you are looking for at your fingertips. Whether you are planning a trip to the Lou, are a local, or just passing through, we will make it easier to map out your quest for the perfect pour. Thank you for supporting STL Beer!